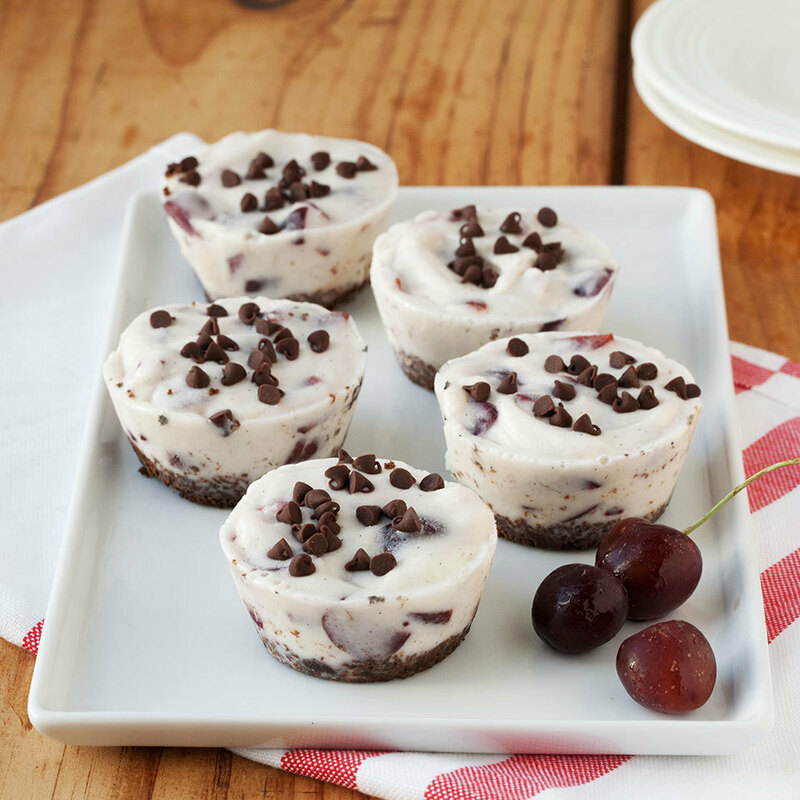 These frozen yogurt cupcakes are a lightened up version of classic ice cream cake, but easier to eat, serve and still finger-licking good. Growing up, I had one goal and one goal only in the summer: attend as many parties as possible that would feature a big ol' ice cream cake. Well that, and draw the largest chalk town on the street to scooter through before it rained again. But back to the cake—layers of ice cream separated by crunchy cookie chunks was my jam. And now that I'm "all grown up," I still crave those luscious, frozen layers as soon as the weather gets warm. Enter fro-yo cupcakes. 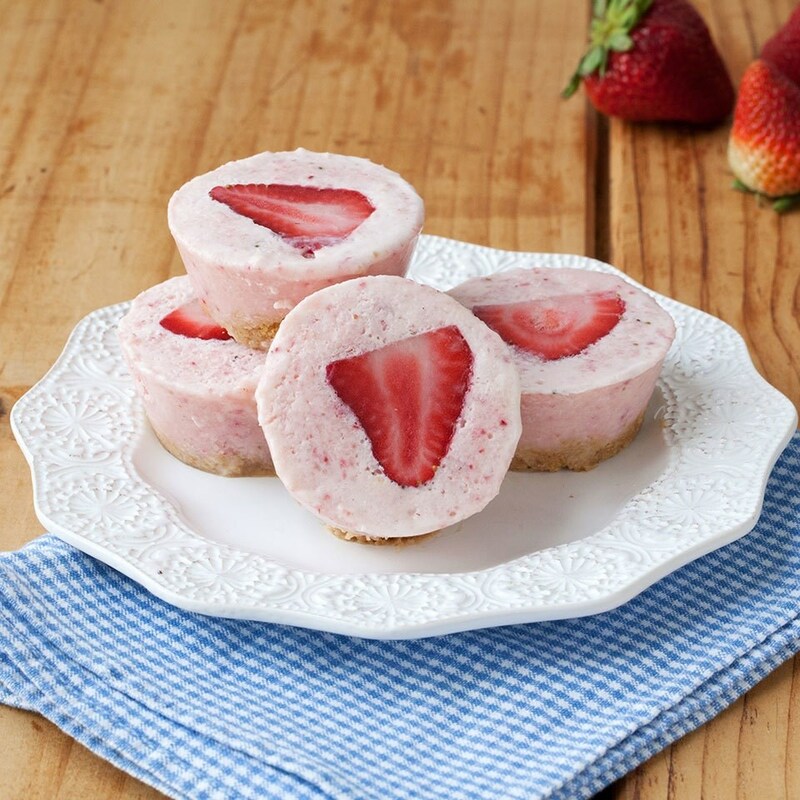 These frozen treats are like those giant ice cream cakes' cooler, healthier older sister. Made right in your muffin tin, they're perfectly portioned. Plus, we use fat-free frozen yogurt on top of a crisp cookie base that's totally customizable with your favorite flavor combinations—such as strawberry, black forest or chocolate mint. Once you've mastered the formula, these frosty and festive cupcakes will be your go-to summer dessert—whether you're having a party or just making them for yourself (like me, no shame). We love vanilla or lemon snaps, but other cookies work too! Add 1 1/2 cups of cookies to the food processor and blend until crumbs form. Vary the flavor combinations with different types of cookies like vanilla, lemon or even chocolate. Staying away from gluten? Even gluten-free cookies will work in this recipe. Mix the cookie crumbs with 2 tablespoons of melted butter and press the mixture into the cups of a muffin tin. Take 2 pints of any basic fro-yo flavor, like chocolate or vanilla, then build your cupcake flavor from there. 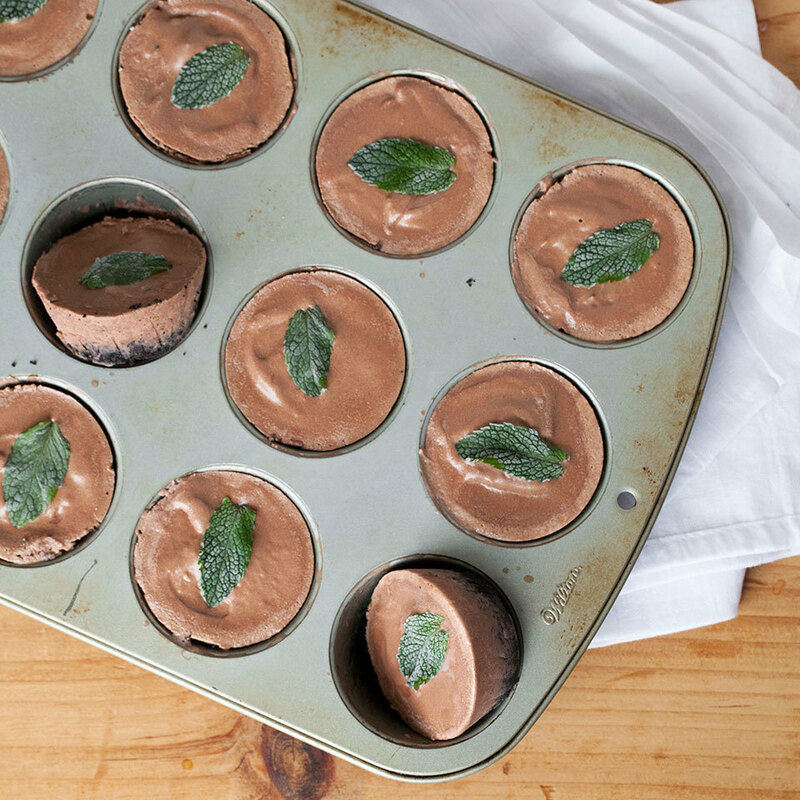 Add mint, cherries, strawberries or any other flavorings that appeal to you and blend in the food processor until smooth, then pour on top of the cookie crusts in the muffin tin. Top each cupcake with a fun topping or garnish—add more cookie crumbs, a fresh mint leaf, chocolate chips, chopped nuts, fresh fruit or even naturally dyed sprinkles. Have fun with it to make them festive for the occasion! Allow the cupcakes to freeze for about 3 hours, then dig in!